As a part of the 2016 Spring Performances, A.C.T.’s M.F.A. Program actors present what scholars believe is Shakespeare’s lost play. 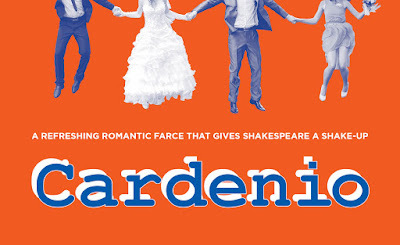 Cardenio, a romantic farce about star-crossed lovers who find each other in a play-within-a-play, has a unique creation story. Literary scholars have traced the play’s existence back to 1613, when The History of Cardenio was performed by Shakespeare’s theater company, the King’s Men. Later evidence found in 1653 indicates that the play was about to be published, and this time it was attributed specifically to William Shakespeare and John Fletcher, one of Shakespeare’s known collaborators. 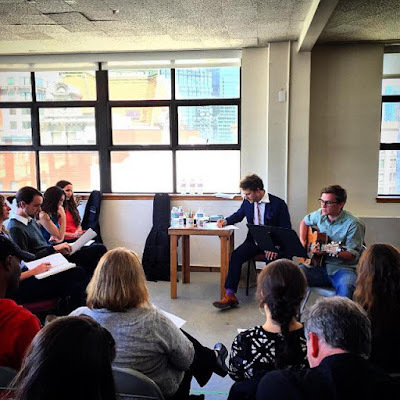 “Songwriting is a game of what you leave out,” says Benjamin Scheuer. “As Hemingway said, you write the 3 percent of the iceberg, but you’ve got to know the 97 percent that’s underwater.” Today singer-songwriter Scheuer took a break from his award-winning show The Lion (playing at The Strand Theater until May 1) to present a master class in songwriting at A.C.T.’s 30 Grant Avenue offices. Listening to the songs of five young performers—Danielle Frimer, Matt Herrero, Sydney Kistler, Andrew Fridae, and Lauren Hart—he offered technical advice ranging from melody to rhyme, structure to story. We had the chance to speak with Dougherty about the mysteries of the play, the imagination, and the fine line between memory and reality. 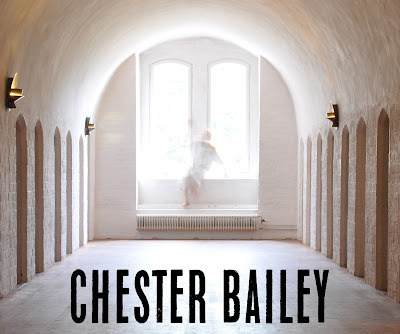 How did you come up with the premise of Chester Bailey? 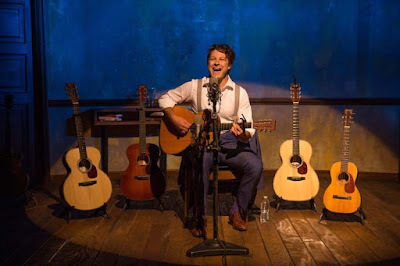 Benjamin Scheuer was 31 years old when The Lion (then called The Bridge) premiered at the Edinburgh Festival Fringe in 2013. 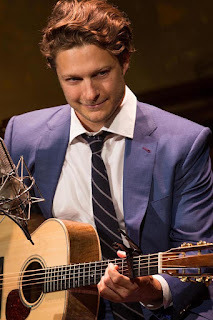 The one-man musical ran off Broadway at Manhattan Theatre Club in 2014 and 2015, earning Scheuer the Drama Desk Award for Outstanding Solo Performance. The young New Yorker seemed like an overnight success, a charming musician with a winning smile, a gift for storytelling, and a wardrobe of sharply tailored three-piece suits. The reality was quite different. Scheuer had endured a series of setbacks—from losing his father at age of 13 to being diagnosed with stage IV Hodgkin’s lymphoma—challenges that he transformed into The Lion’s story. “Being able to take the worst parts of our lives, then using those things as a means of communication, is a kind of alchemy,” he says. We caught up with Scheuer as he was preparing to bring his award-winning show to The Strand Theater. How did The Lion come to be? 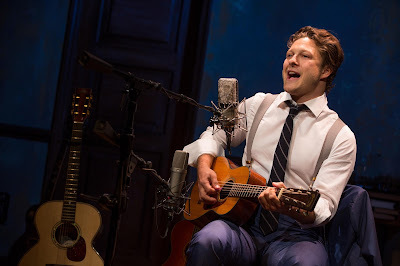 Above all else, singer-songwriter Benjamin Scheuer loves a good story. But despite his own folk-bluegrass acoustic style, one of his favorite genres of music is hip-hop. “It’s the most advanced kind of lyricism. These guys and girls are doing things that I aspire to do. I would love to tell these dense and complex stories.” In The Lion, Scheuer’s moving, intricate one-man musical, his aspiration is reality. Everybody dies. It’s a fact of life. Most of us can set aside this truth to get on with our lives and avoid despair, but eventually, we will all have a moment where we must come face to face with our mortality. 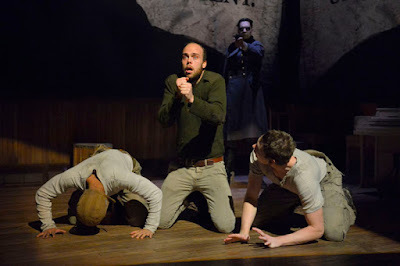 The Unfortunates tells the story of such a moment: Big Joe must confront the inescapable reality of death—and he must come to terms with it quickly, because the enemy is aiming his gun at Joe’s head. The Realistic Joneses runs until April 3 at A.C.T. 's Geary Theater. Jennifer and Bob Jones sit outside their house, talking to each other. Well, it seems like they’re talking, at least by the modern definition of “talking.” Their mouths are moving and their vocal cords are vibrating and one makes a sound that the other hears, interprets, and responds to. But despite the outward appearance that they are, in fact, talking, Jennifer remains unconvinced. “We’re—I don’t know—sort of throwing words at each other,” she says. 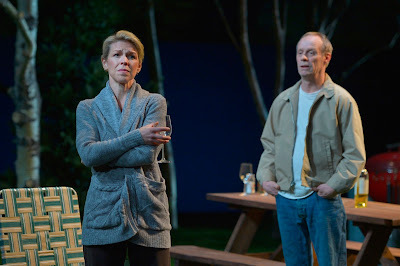 The characters in The Realistic Joneses throw words at each other for the entire play, and the other party often fails to catch them. Questions are asked and remain unanswered. Words are misinterpreted. Topics are dropped. Stutters and false starts abound. It feels as though, for all their existential dread, these characters can’t pull themselves away from small talk in order to get at the bigger fears that pervade their lives.